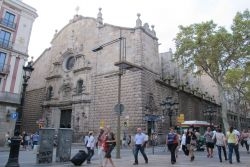 Previously, Les Rambles of Barcelona had several religious buildings strewn up and down its promenade, yet their decline over recent times has left only a few examples in this area. 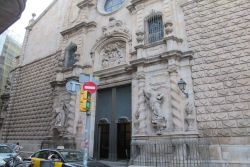 One such remaining church is l’església de Betlem which is one of Barcelona’s best offerings of Baroque style from the 17th century. Originally built for the Jesuits, part of its interior decoration was destroyed when it was set on fire during the civil war in 1936. 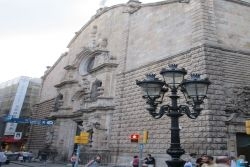 The church, like all of the religious buildings in the city depicts a grand history which is still active to this day, especially around the Christmas period when it becomes a centre piece for the Nativity story with the display of some excellent cribs or manger scenes, very popular with both local children and tourists.